I tried my first turmeric milk — a turmeric latte, actually — in Seattle. My friend Pam assured me that my warm turmeric milk (also known as golden milk), gluten free scones, and the costumed customers at the bookstore’s food counter qualified as “peak Seattle.” But trendy or no, there are some good arguments for adding turmeric to your diet. 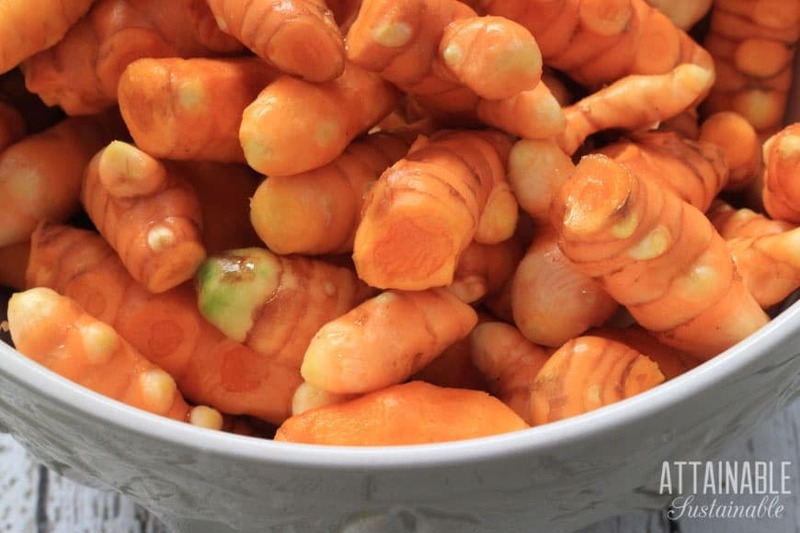 Turmeric has become an important herbal ally in recent years, especially for those who have excess inflammation, such as arthritis, irritable bowel syndrome or old sports injuries. 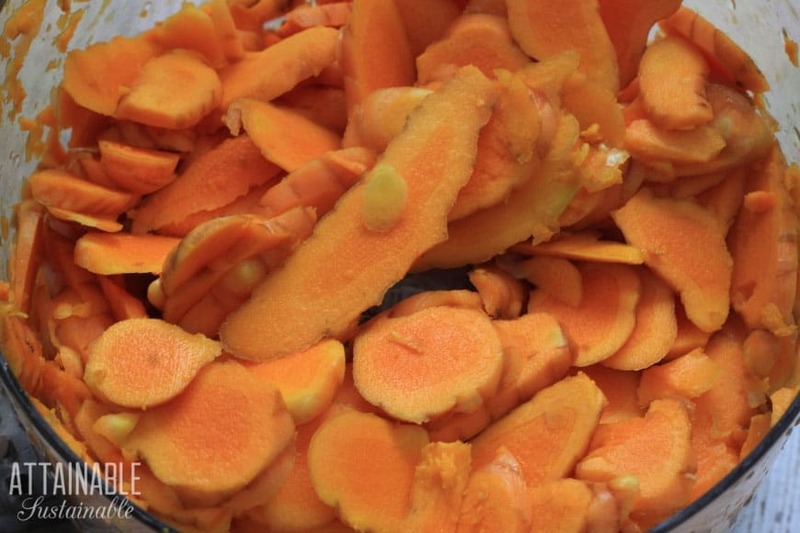 Turmeric root is in the same family as the more commonly found ginger and is a powerful natural anti-inflammatory. One problem is that curcumin, the main compound in turmeric that gives it these benefits, isn’t easily absorbed by the body. Luckily, that is an easy fix, as the piperine in black pepper makes it more bioavailable. Turmeric milk (also called golden milk) is a staple of Ayurvedic medicine and is a great way to get a dose of turmeric. 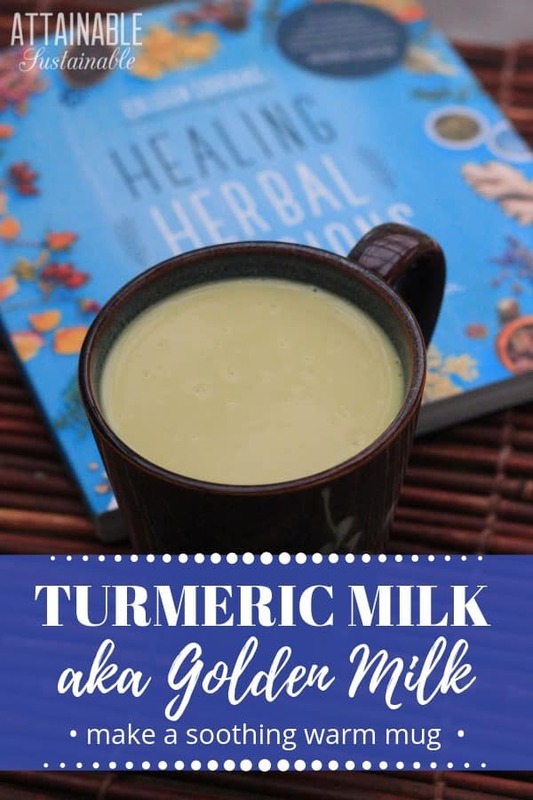 Since we have such an abundance of fresh turmeric this time of year, Colleen’s recipe for making turmeric milk caught my eye. If you don’t have access to fresh turmeric, you could use about 2 teaspoons of ground turmeric instead. Combine the sliced turmeric, peppercorns, and milk in a small saucepan. Warm on low heat in a saucepan for 10 to 15 minutes. Remove the pan from the heat and let sit to slightly cool for several minutes. 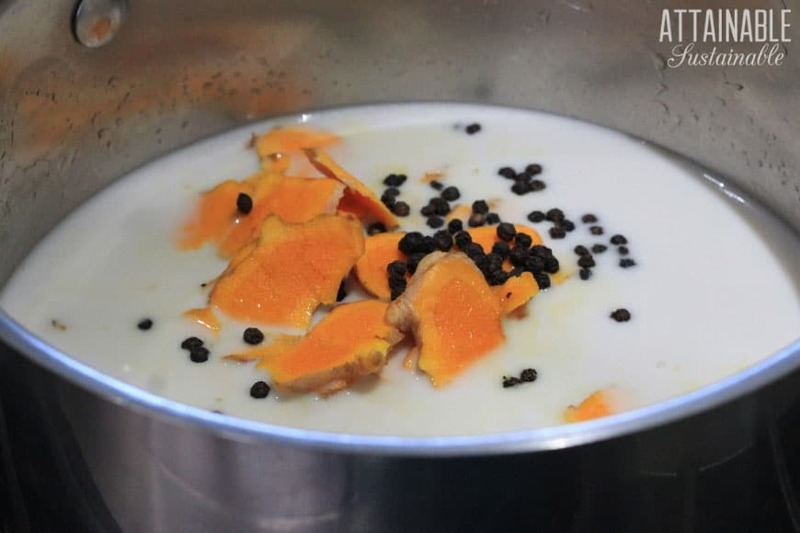 Strain out the turmeric and peppercorns and pour warm turmeric milk into a mug. Stir in one-to-two tablespoons of honey to sweeten. 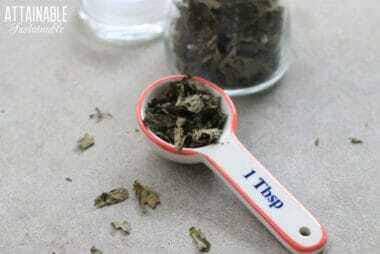 Drink 1 to 2 cups (240 to 480 ml) per day to help reduce chronic inflammation. Healing Herbal Infusions teaches aspiring home herbalists how to make natural plant-based remedies to treat a variety of common ailments and illnesses. From teas and tonics to balms and non-toxic personal care, Colleen’s instructions are a no-nonsense way to get started with herbalism. 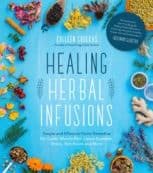 I received a copy of Healing Herbal Infusions for review purposes. You can whatever kind of milk you prefer for this recipe. 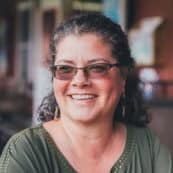 If you’re not avoiding dairy, regular cow’s milk works just fine. My son is avoiding dairy and I wanted him to be able to try this, so I made this batch with macadamia nut milk. 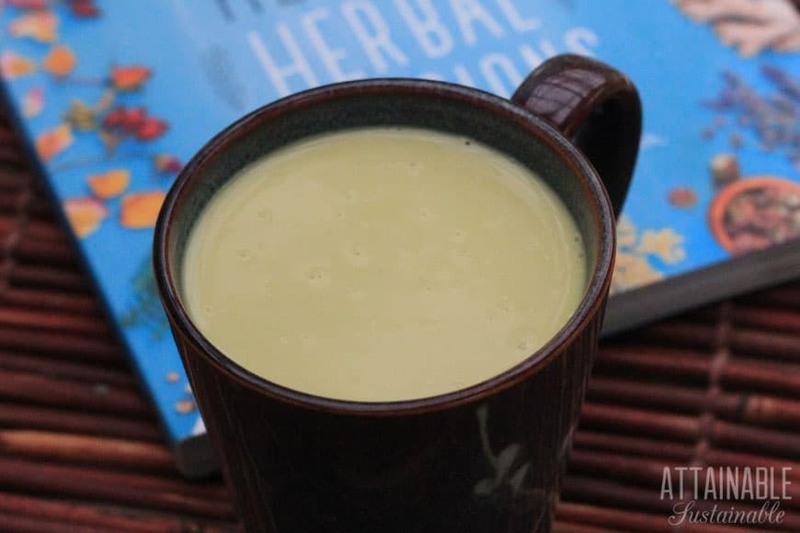 This turmeric milk is a tasty way to add healthy turmeric to your diet. Combine the turmeric, peppercorns and milk in a small saucepan. Warm on low heat in a saucepan for 10 to 15 minutes. Remove the pan from the heat and let sit to slightly cool for several minutes. Strain out the turmeric and peppercorns. Pour warm milk into mugs and add honey to sweeten it if desired. Be forewarned that fresh turmeric can stain your cooking utensils, hands and clothing a bright orange color that can be hard to remove. Drink 1 to 2 cups (240 to 480 ml) per day to help reduce chronic inflammation. This tea is safe for children ages 2 and older. Please follow the dosage guidelines on page 23 of Colleen's book. 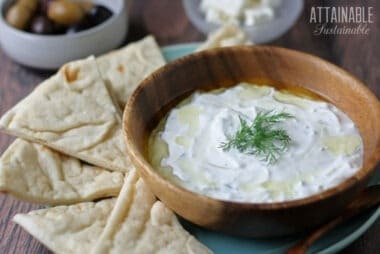 Would this be good with several more spices, such as nutmeg, ginger, or cardamom? Oh, I love cardamom. You can totally experiment with spices, of course!